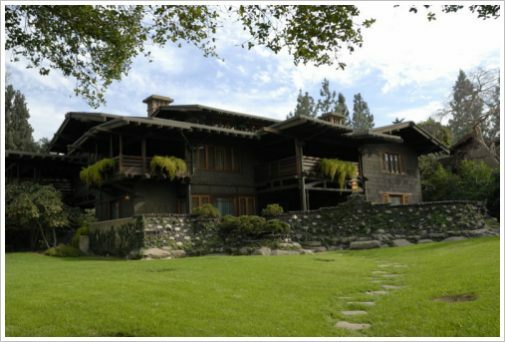 The American Arts and Crafts movement reached its peak in first decades of the 20th century. 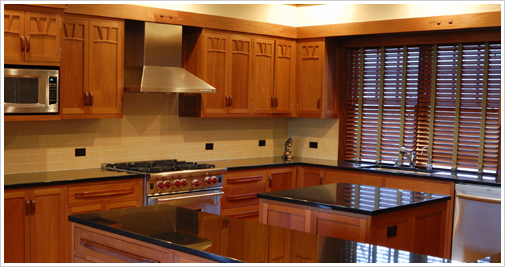 Arts and Crafts houses are often referred to as Bungalows or Craftsman style. Unfortunately, modern interpretations have drifted far from the aesthetic roots of the movement. Our objective is to bring back the art of the era by drawing on the works of the most influential American Arts and Crafts architects and designers, including the Greene brothers, Gustav Stickley, Frank Lloyd Wright, Louis Sullivan and Henry H. Richardson. For Loblolly House, we chose to focus on Greene and Greene for their ergonomic designs that are easily adapted to modern lifestyles and sensibilities. The Sculptural Art of Architecture | Greene and Greene houses are works of art where proportions and aesthetic balance are carefully considered. Their best designs have such a natural, relaxed quality that one assumes that it couldn't have been built any other way. The Greenes's art has many layers, where subtle details are discovered over repeated observations in differing light and view points. Reproducing Period Arts & Crafts Designs | Recreating architectural features requires close attention to all the layers of detail, from the shaping of edges and curves, to the proportions of larger elements, to the thematic relationship between elements. The great architects demonstrated great restraint: adding an extra detail can compromise the beauty of a feature as easily as any error in execution of the design. Adapting Designs for Modern Lifestyles | Modern lifestyles, construction standards and room/house dimensions require the modification of any features being recreated. Our objective is to create houses that the original architects and designers would recognize and embrace as modern adaptations of their work. Construction of a house that is fully self consistent and maintains artistic standards throughout requires close attention and management of the entire design and construction process. This section of the web site is presently under development. Please check again soon! Copyright 2007 - Erler Design. All Rights Reserved.